Successful completion of courses one through four are required to achieve the Certified Mortgage Mentor Designation. Successful completion will include passing the test for each course and submitting completed homework assignments. The first course cannot be skipped for this designation. The implementation of licensing standards through the National Mortgage Licensing System has focused the vast majority of the educational resources within the industry upon the twenty hours required for initial licensing, as well as the hours needed for continuing education. Yet this training does not in any way prepare loan officers to succeed. Most of the focus is upon compliance and legal aspects of the industry. This focus is very important, but it will not help a loan officer bring business in the door and become an advisor to their clients. For that we need something more comprehensive. 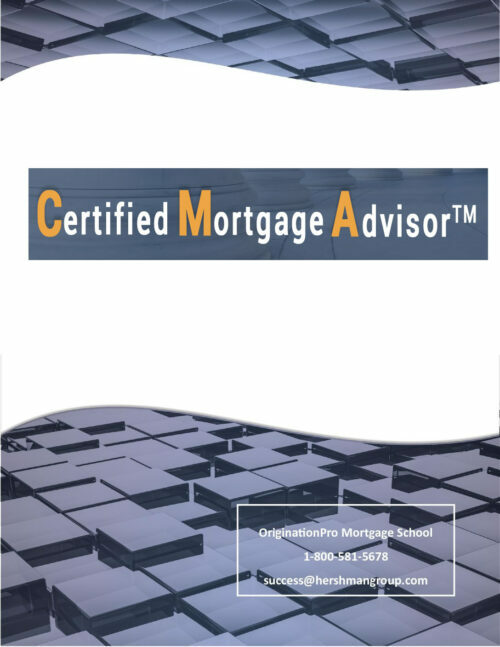 Click here to download the full Comprehensive Mortgage Syllabus.